Blauvelt Dominican Sisters Barbara McEneany and Bernadette Burke were recognized for their ministry work at Dominican College on June 15. Dominican College was honored this week at the Rockland County Blood Donor Appreciation Breakfast for being the top college in blood donations. 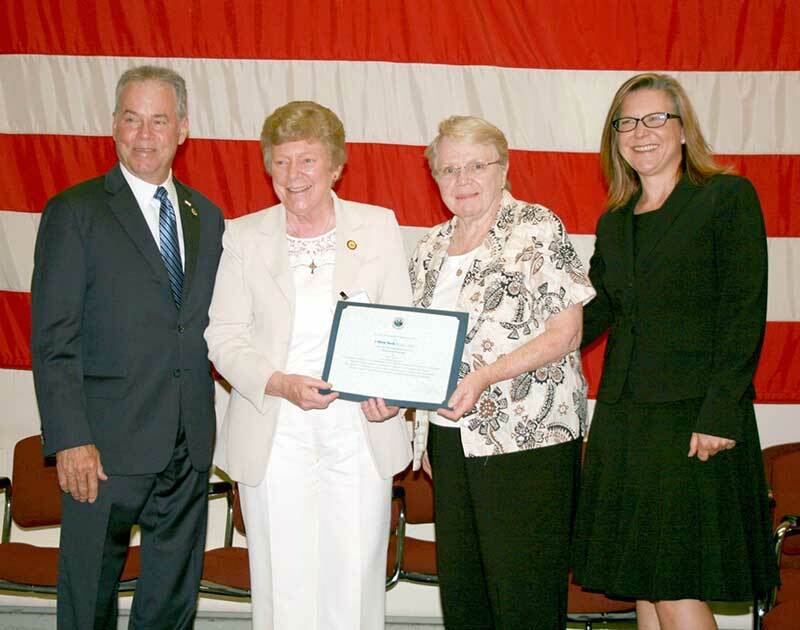 Sisters Barbara and Bernadette accepted the certificate from County Executive Ed Day and the New York Blood Center. For the past 28 years, Sister Barbara has run two blood drives a year at the College. Sister Bernadette is a “gallon donor” – regularly donating 4x a year. More articles will be posted in Global Sisters Report. Please check back on the Dominican Sisters Conference website for links to the latest articles. 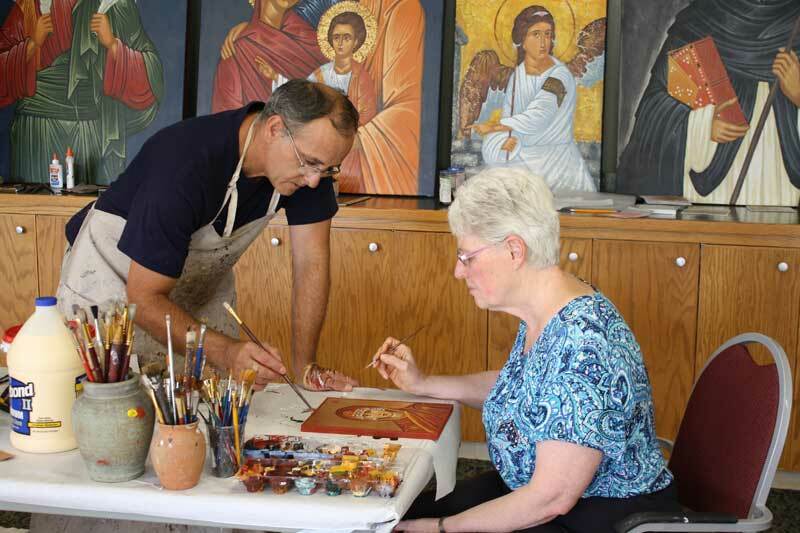 Drazen Dupor teaches Sister Marcia Holthaus about the ancient art of icon writing. This was the second icon Sister Marcia has created. SINSINAWA, Wis.—Drazen Dupor of Madison, Wis., will lead an Icon Retreat at Sinsinawa Mound July 16-21. Come learn about the history of iconography, the origin of icon writing, the first and most famous icon writers and the difference between wooden board and wall icons. Dupor learned the ancient art form in Thessalonica, Greece, at the K. N. Georgiadis School of Art under the supervision of Zlatko Bomestar. 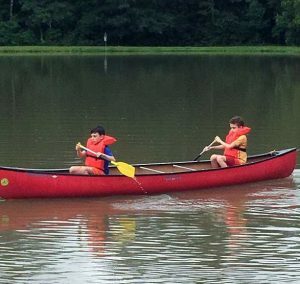 Peace Center campers swam, played games and learn to canoe at the Dominican Sisters of Peace Rosaryville Spirit Life Center in Ponchatoula, LA. New Orleans, LA – Novelist William S. Burroughs said that “The aim of education is the knowledge, not of facts, but of values.” Peace Camp, an annual summer program created and managed by the Peace Center, teaches kids the values of peace and conflict resolution through fun and education.